Brewers have forged strong community links and have a firm belief in encouraging the next generation of painters and decorators to take pride in the profession, develop core skills and consider their surrounding environment. 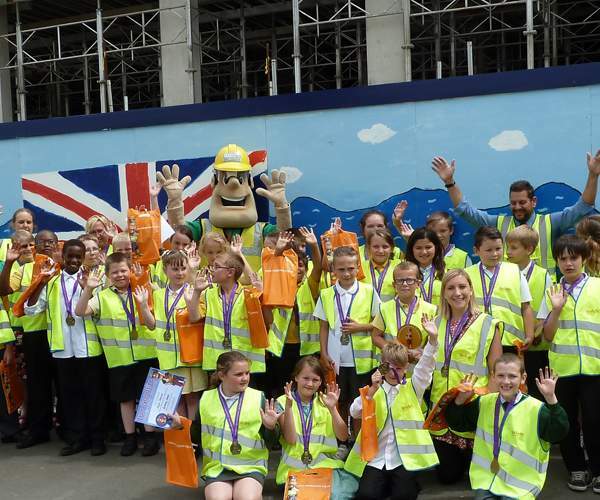 Brewers Gillingham branch helped Berkeley Homes as part of the annual Ivor Goodsite Hoarding Competition run by the Considerate Constructors Scheme (CSS). 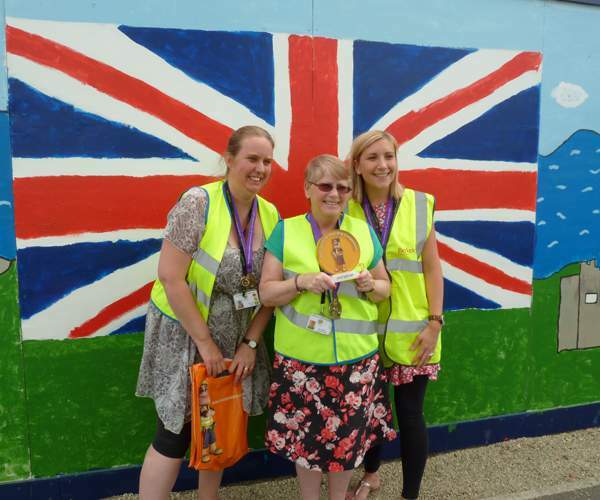 The competition promotes engagement with contractors and their local community to design and decorate the hoardings which surround the construction site, turning them into works of art. The team at Brewers Gillingham, headed up by Branch Manager Alex Currington, were thrilled to get involved with the project and supplied a selection of Albany Vinyl Matt paints to bring the design to life and offer strong, vivid colours. Brewers paint kettles, Hamilton Performance brushes to apply the paint with precision and Polyvine exterior wood varnish to seal in the design and protect it against the weather were also donated. Gillingham to transform the hoarding into their competition entry. ‘Glorious Britain’ was the theme chosen by the school to complement project work the pupils were undertaking in class. The school had recently visited Rainham Riverside Country Park as well as landmark buildings such as Rochester Castle, Tower Bridge, The Houses of Parliament and the London Eye for inspiration and all of which are depicted in the design. Burnt Oak Primary School’s competition entry will be judged by the CCS and the winning designs announced over the summer. Winners will receive a visit from Ivor Goodsite who will present prizes while runners up will receive a certificate for their participation.